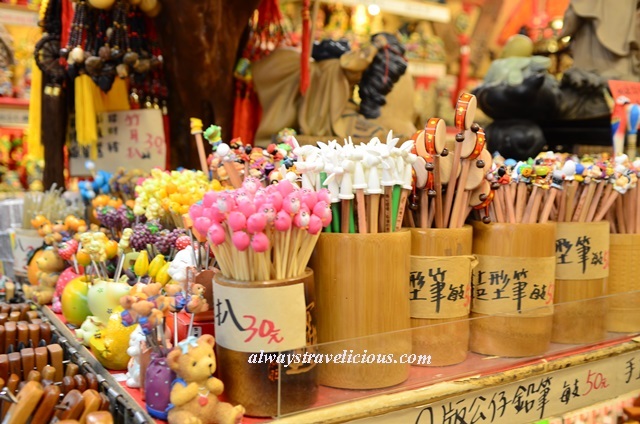 A Day in Jiufen @ Taiwan - Always Travelicious ! 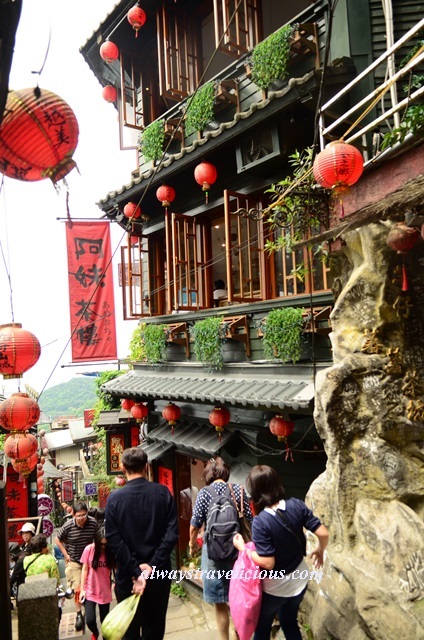 Jiufen (九份) is an old township on the mountains that was once a small settlement that developed into a township as a result of gold rush. During the early days, the inhabitants would descend the mountain to purchase their daily necessities like food, salt etc; a to and fro journey that would take three days. 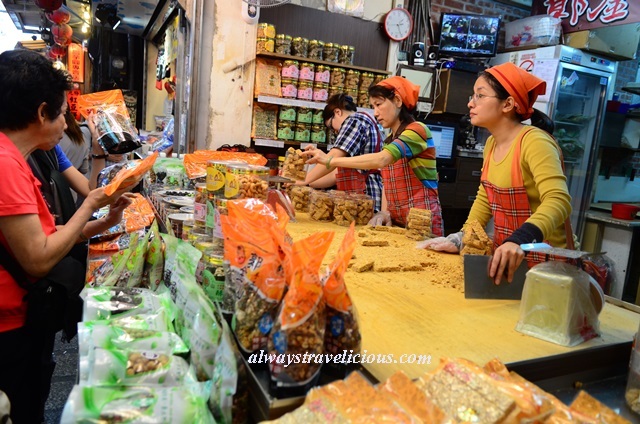 They would purchase 9 portions of everything; 9 portions of chicken, 9 portions of pork, 9 portions of vegetables and so on. 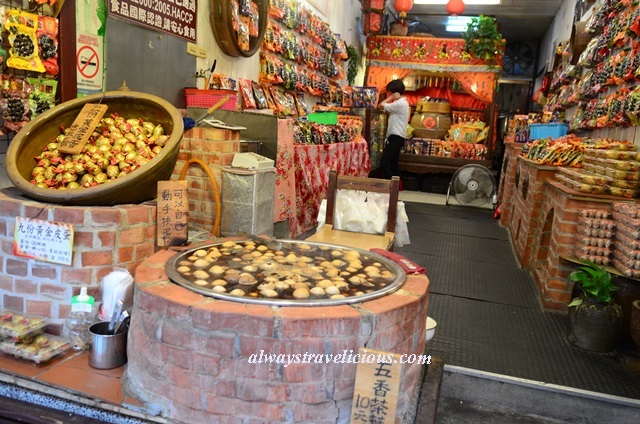 The vendors at the foot of the mountain would refer to them as “people of 9 portions” and eventually, “9 portions” or “Jiufen” became the name of this gorgeous town, perched on the hill and overlooking the sea. 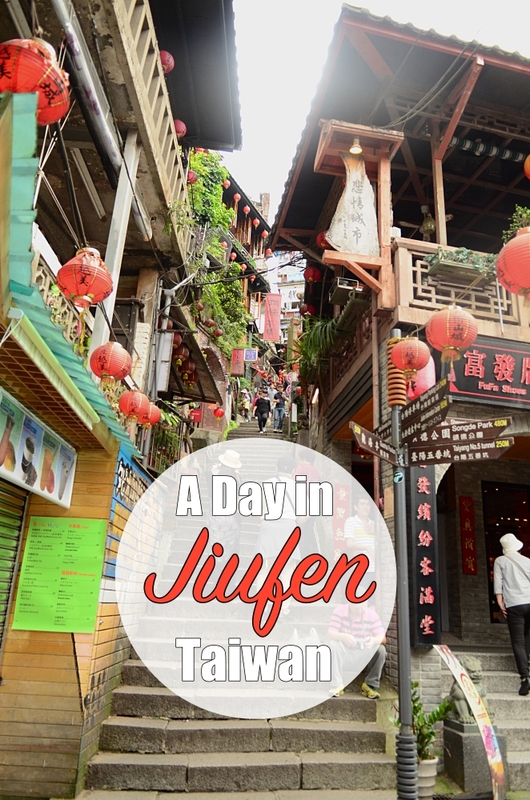 Getting to Jiufen is easy by public transportation, just take the train from Taipei Train Station to “Rui Feng Train Station” (瑞芳車站), then change to bus and the journey would be around 20-30 minutes to Jiufen. 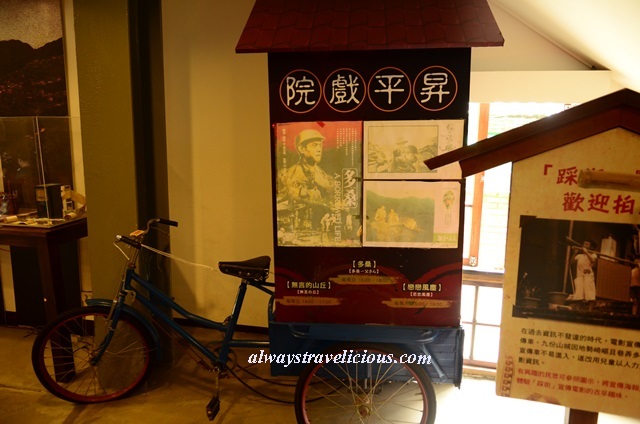 If you are going to other places on the same day such as Yeliu (野柳), Golden Waterfall (黃金瀑布), Houtong (猴桐), Jintong (菁桐), Pingxi (平溪), consider taking the customised tour from Round Taiwan Round. 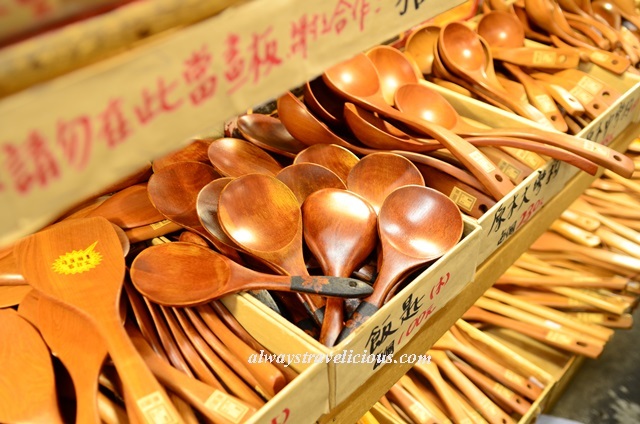 Round Taiwan Round offers carpool service that allows you to choose up to 6 destinations in the area, which includes door-to-door pick up and also guide service at USD 30 per person (minimum participant is 2). This is very convenient because it’ll save you a lot of time and the hassle of waiting for public transport and you could see more places in one day (I know because when we went to Pingxi area, we spent a lot of time waiting for the train because the trains were not frequent). 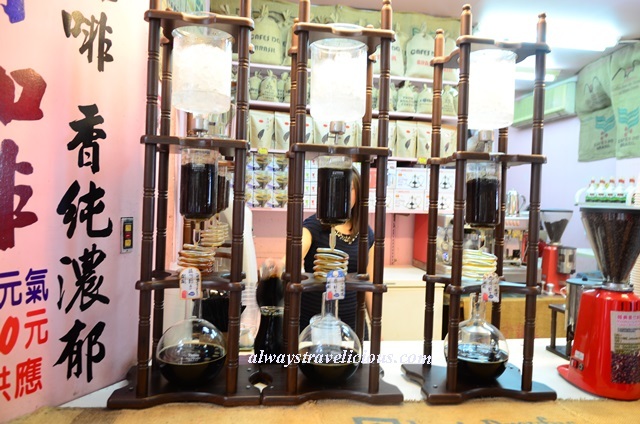 Feel free to use my coupon code “AlwaysTravelicious” to receive a 5% discount for the service. 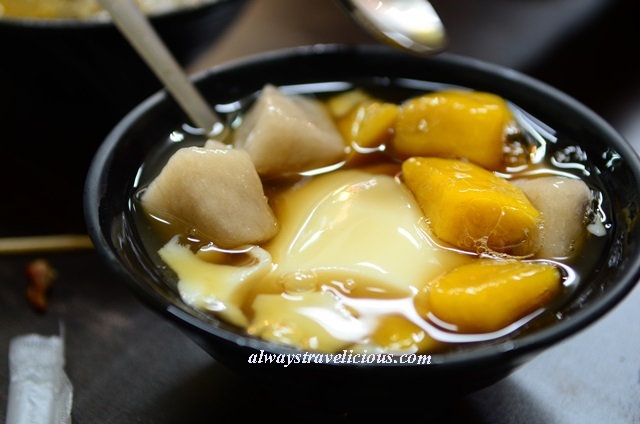 When we reached Jiufen, first things first. Lunch ! We were so hungry ! We pretty much ate at the first restaurant we saw – at the “Old Street Beef Noodles” (旧道牛肉麵). 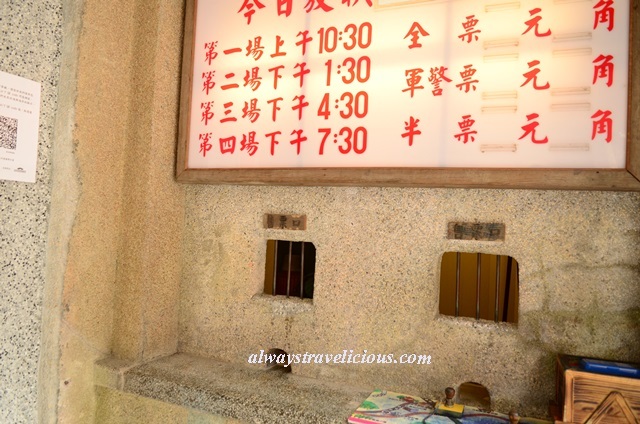 Our guide told us this place is famous for its beef noodles with an intense herbal essence. Well, the herbal essence was there but all of us thought it was overrated. The beef could have been more tender and the soup could have been livelier. 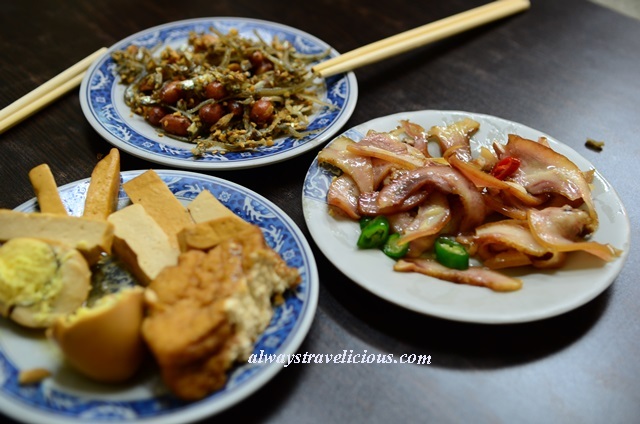 The side dishes were good though – crisp pig’s ears, crunchy anchovies and well-braised tofu. 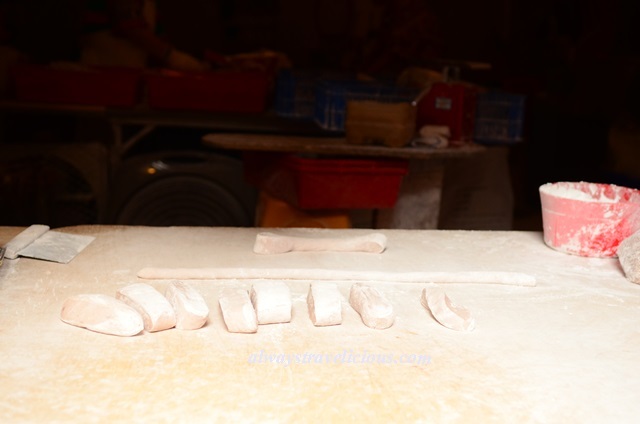 This is classic sesame noodles; just plain noodles with white sesame sauce. I liked it. 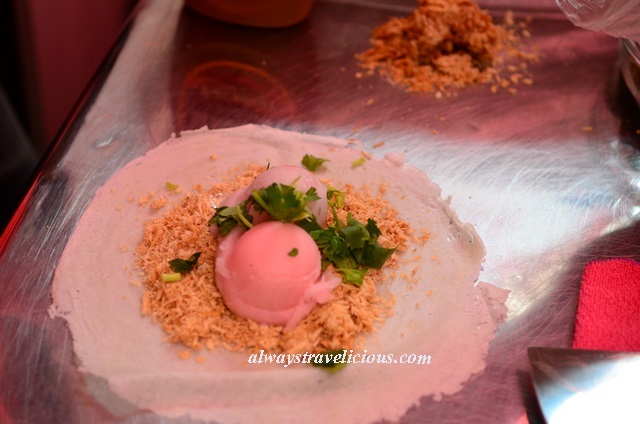 But if you are Malaysian, I don’t think you will like it because all my Malaysian friends unanimously thought it was too heavy, too filling and not too much taste on the first bite. The beef noodles store shares half the store with the taro balls store, so we got a bowl as it was convenient. 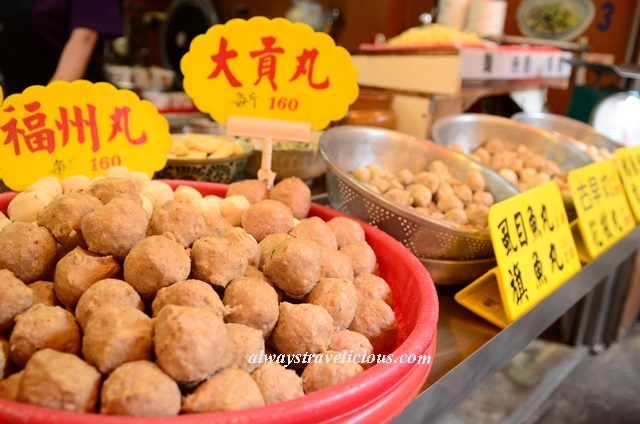 Jiufen is famous for the taro balls (芋圆) – chewy, sticky and springy. 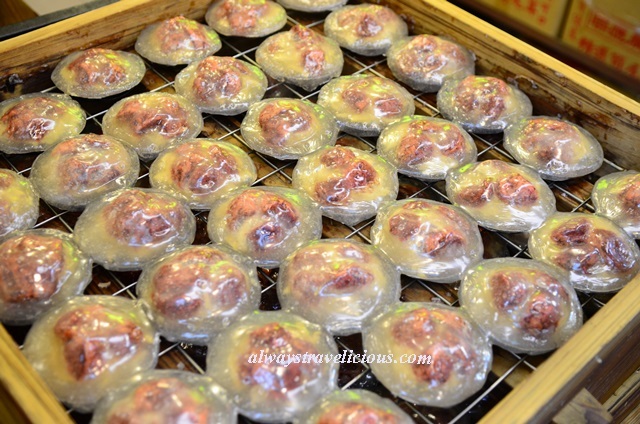 You’ll find taro ball stores scattered throughout Jiufen. 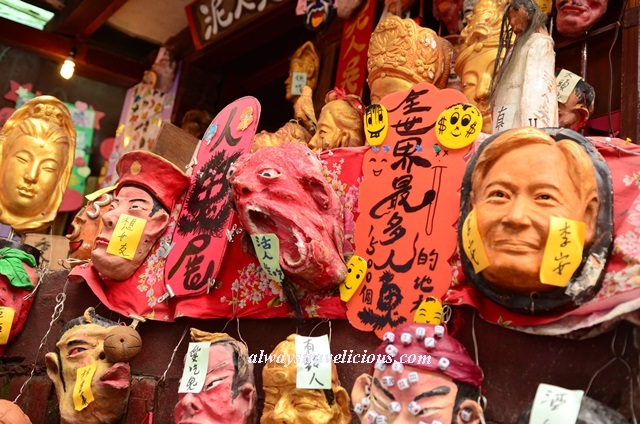 scary masks and much more ! 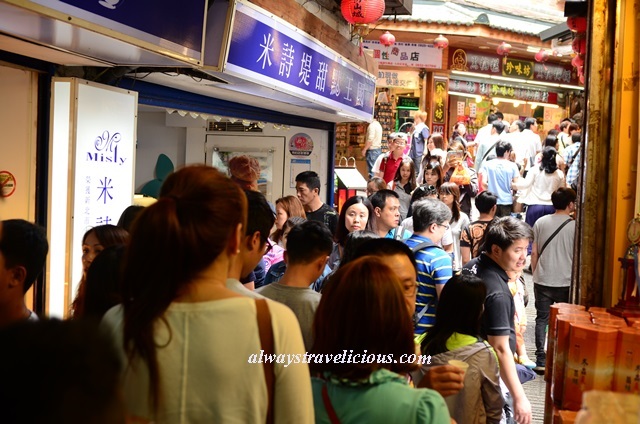 The Old Street really wasn’t all that long but with everyone stopping to eat something, to buy something or to look at something, there were certain parts that came to a completely standstill ! Don’t give up though because once you get past these stores, the stunning scenery awaits you. 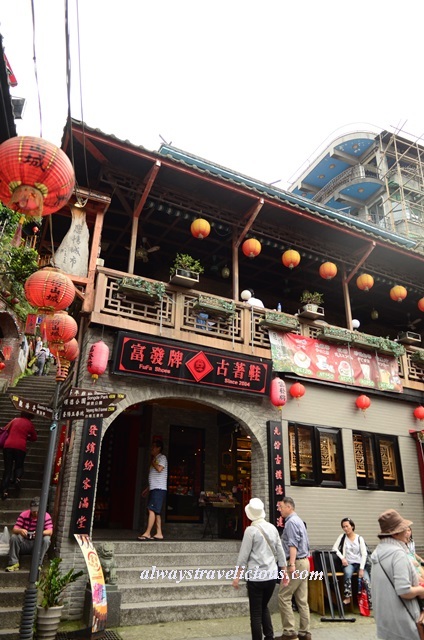 At this section of Jiufen, it is much quieter; perhaps because the terrain becomes much more hilly. 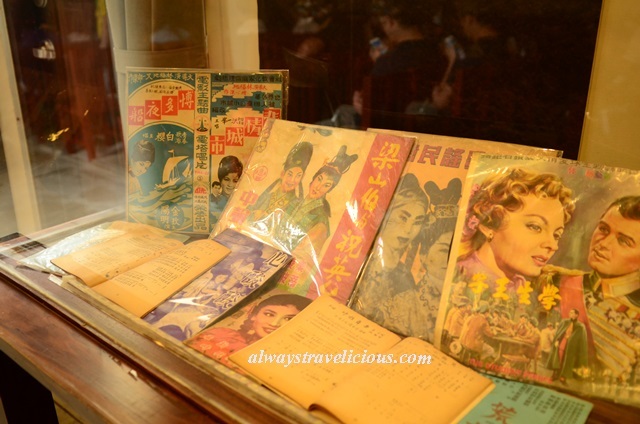 This section is also dotted with quaint retro tea houses and Japanese-styled tea houses. 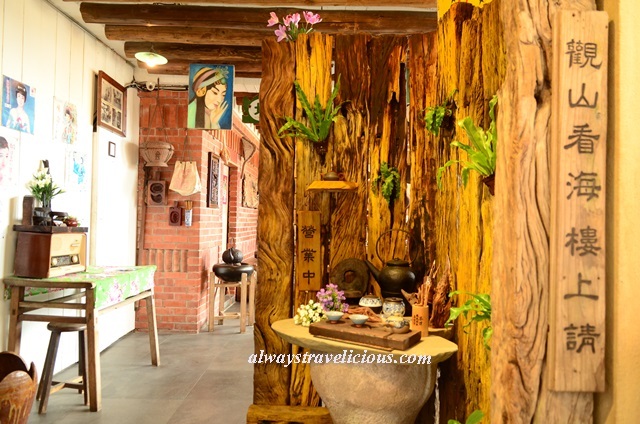 These tea houses are fantastic places to sit back and to enjoy the exhilarating view. 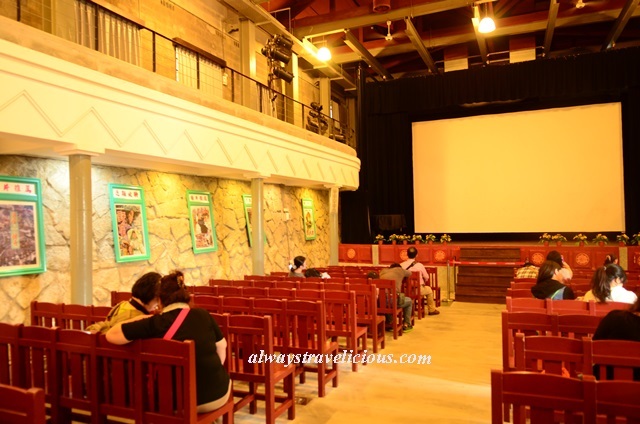 If you have more time to spare in Jiufen, watch a movie in Shengping Cinema (升平戏院). The cinema was first built in 1914 and the it was the largest cinema during its time. Even residents from nearby districts would come by this cinema to watch the movies. 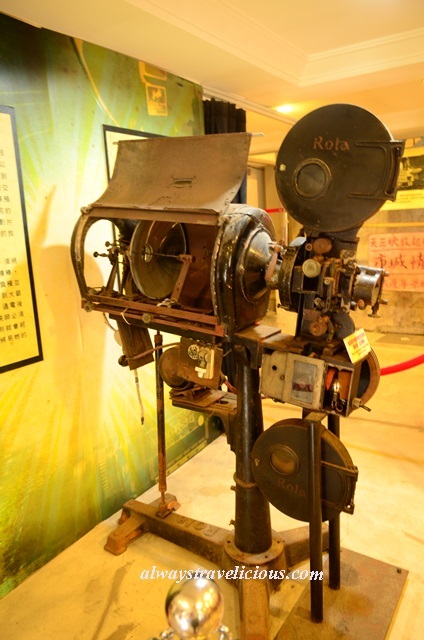 The cinema had its glory days, receiving thousands of movie watchers during weekends. 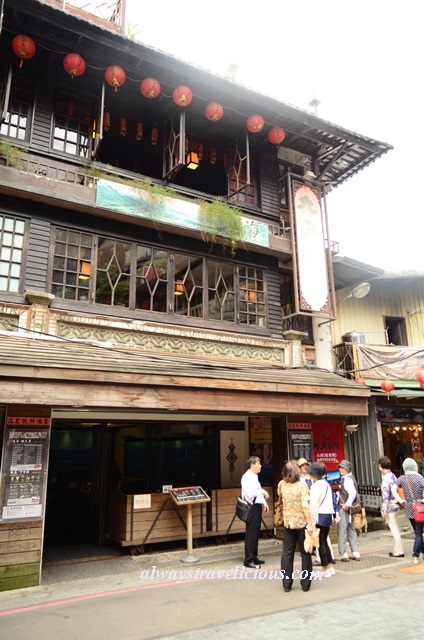 The cinema’s fate was tied with Jiufen’s. 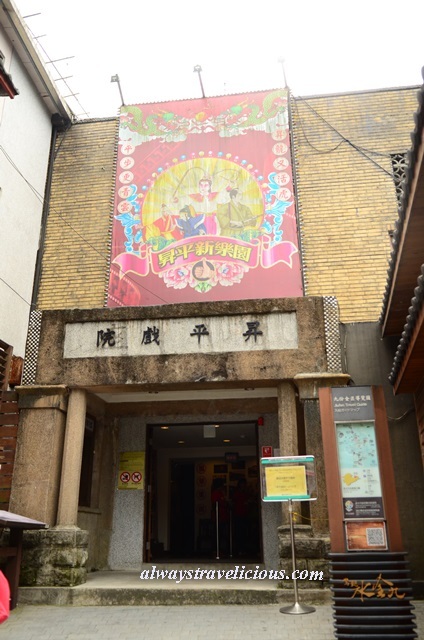 When Jiufen’s gold mining industry waned, the cinema could also no longer flourish, eventually closing its business in 1986. 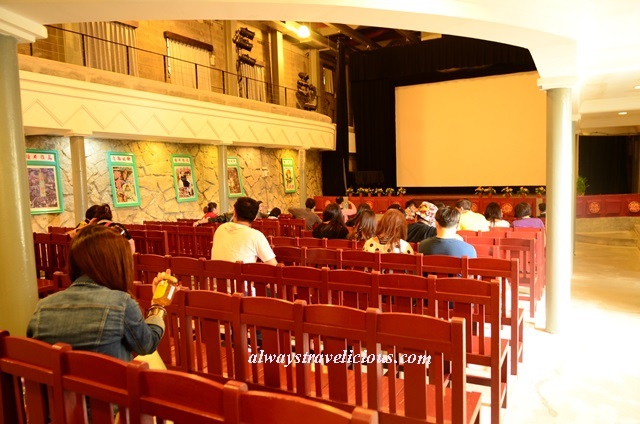 Now that it’s been fully refurbished into a 1960’s cinema and back into the game again, classic Taiwanese movies such as “City of Sadness” and others that had filmed in Jiufen are played on Fridays, Saturdays and Sundays for free. 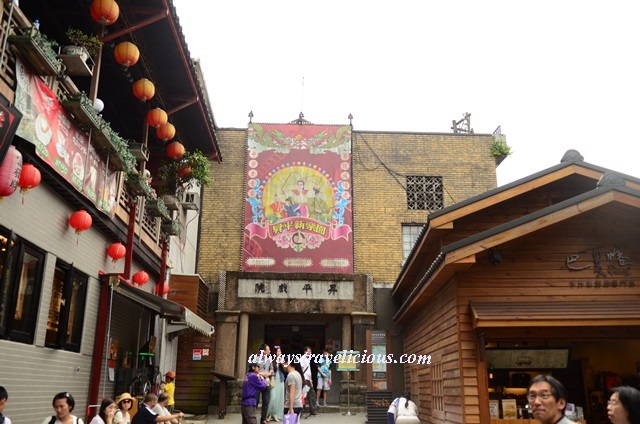 Take the train from Taipei Station to Ruifang Station, exit the station and take the Keelung Transit Bus (基隆客运) (about 15 minutes bus ride).